Okay, the clock is ticking…it’s December 1st. Time to get serious about gift shopping. Fortunately, there’s many helpful folks in Downtown Northfield. 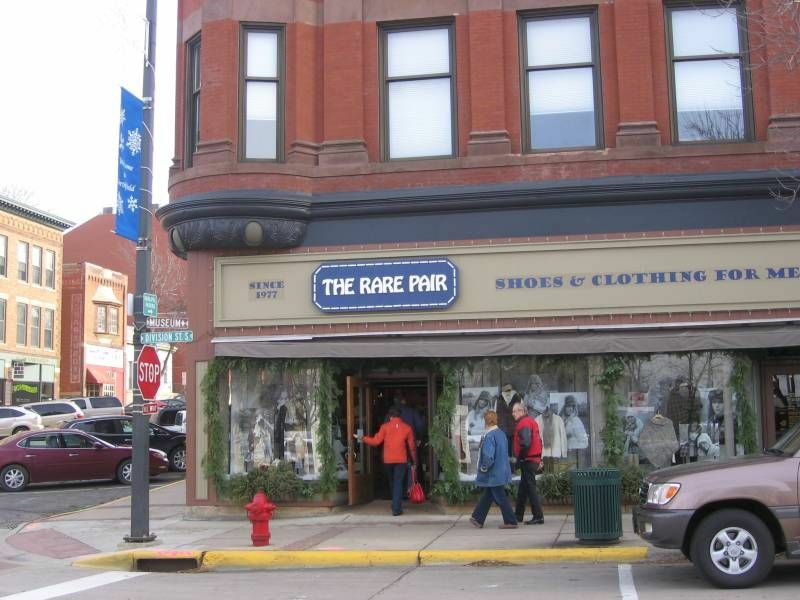 I stopped into The Rare Pair, at the corner of Division and Fourth Streets, to ask for some ideas. They’ve been in business since I graduated from high school, which is many years. Owner Krin Finger was there to help. Krin suggested several possibilities. Knowing me, she stuck with practical and affordable. The Best Mitten Evah, a double-layered glove inside of a mitten with leather outside and fleece inside, has been very popular this year, according to Krin. Uggs, the super warm boots from Australia, are considered hip by all ages and now come in a comfy slipper too. Then there’s the gift that I’ve been happy to receive for Christmas past, the Smart Wool Socks; I’ll testify to their effectiveness, not too heavy and quite warm…just perfect for long Winter walks. 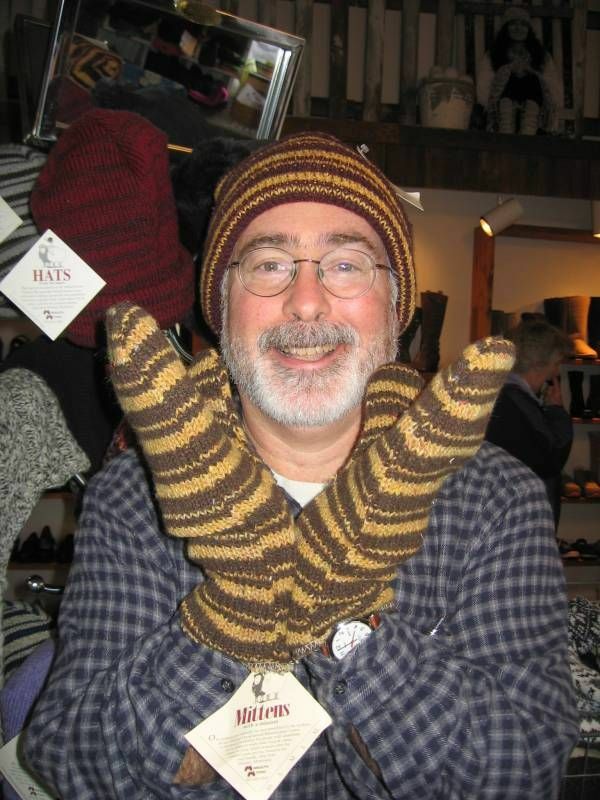 Finally, there’s the Minnesota Mittens (and Hat). They’re made in Winona by disabled adults out of the cotton and wool remains from Winona Mills. Recycling technology resulting in a classic look. My smile says “these feel great”. If you’re looking for comfortable, quality clothing…visit with Krin and her helpful and cheerful staff at The Rare Pair.